TFN Melbourne is coming together for one last time this year and Eat Up Founder, Lyndon Galea, will be presenting their work working to support families, teachers and schools to ensure all school kids in Victoria are well fed so they can eat, learn and grow. 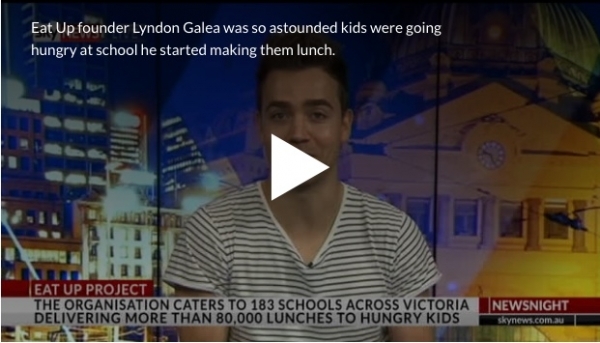 He was interviewed on Sky News Australia about his organisation, the TFN event and what he will be pitching for. Watch the full clip on Sky News Australia here.